The Pet Postcard Project's Spring campaign is here! April & May 2013 will bring showers and flowers, but will also bring thousands of meals of Halo Pets dog and cat food from Freekibble.com to the dogs at Rescue Ink and the cats at Kitty Cottage. The rescue that brings in the most homemade and handmade pet postcards wins even more food! That's right: Dogs vs Cats! Halo and Freekibble.com are generously donating 30,000 meals to two shelters for this campaign: Rescue Ink and Kitty Cottage. Each rescue will get 10,000 meals, and the rescue that brings in the most homemade, handmade postcards during the campaign will get an additional 10,000 meals! The goal for each rescue is a mere 1000 postcards in order to trigger the 10,000 meal donation, so grab your paper, photos, tape and scissors -- add a little creativity, and a pet postcard is born! The shelter that "wins" the additional 10,000 meals is up to you! Here's how to make and send in postcards of your own pet. Rescue Ink in Ozone Park, NY, backs up animal rescue groups, such as the ASPCA, SPCA, The Humane Society, and many smaller rescue groups all over the world. They are comprised of street guys, military personnel, police officers, private investigators and lawyers, not to mention an amazing network and core group of volunteers that is second to none. Rescue Ink does whatever necessary within the means of the law — that's what their lawyers tell them to say — to fight abuse and neglect of all kinds. Most of the animals Rescue Ink rescues will spend the rest of their lives at the Rescue Ink Facility. As a true non-profit, they rely on donations and support from friends, fans and communities worldwide to keep the shelter alive and provide a safe haven for the animals. Kitty Cottage in East Norton, PA, provides a cozy, cottage setting as a cage-free adoption center for homeless cats. The cats enjoy lounging on comfy chairs, cat trees and condos, waiting for the next visitor to give them the love they crave. Their cats come from other shelters, municipal animal control facilities, rescue groups, and from the public. People ready to adopt and curious visitors can cuddle and play with the freewheeling cats, and learn more about the cats than they would in a traditional shelter setting. This helps to promote a greater number of adoptions into good homes for the cats, and allows for better matches of human and cat personalities. To give the kitties an extra boost in this competition, Cat Style Expert, Kate Benjamin, is spearheading the campaign for Kitty Cottage! Kate is the founder and editor of Hauspanther, the premiere online magazine for design-conscious cat people. In addition to helping people live stylishly with cats, Kate's mission is to help find loving forever homes for cats in shelters across the country, and to support organizations like Kitty Cottage who are doing their part to make that happen. You can find Kate's feline design finds, along with lots of other information about living with cats, at Hauspanther.com. 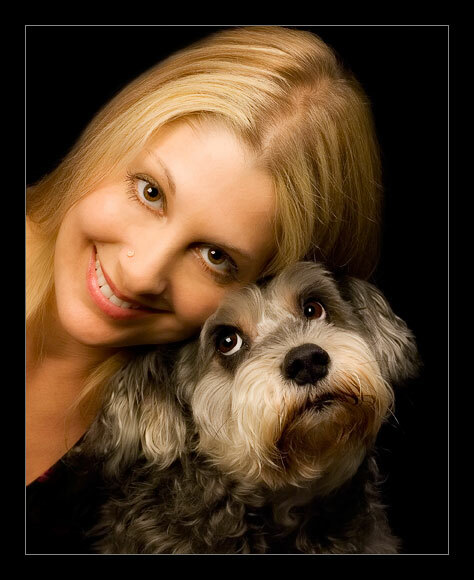 Freekibble.com was launched in 2008 as the vision of then 11 year-old, Mimi Ausland. Mimi wanted to feed the hungry dogs and cats at her local shelter. "There are 10's of thousands of dogs and cats in animal shelters across the country, all needing to be fed a good meal." With this goal in mind, Freekibble was created.Today, the Freekibble Network reaches over 500,000 passionate pet-lovers. This loyal community has helped us feed over 9 million meals to homeless dogs and cats in shelters, rescues and food-banks across the country (see map). Find Freekibble on Facebook here. Halo's Mission: To provide people and their pets with honest information and wholesome products to better the lives of animals and the people who love them. Halo, Purely for Pets evolved from three guiding principles: balance, nature and love. We believe that when these are the basis of pet product development, optimum health, vitality and wellness follow. Our pet products yield amazing results. For the past two decades, we’ve seen the emergence of thousands of radiant, healthy pets whose owners have chosen Halo. Find Halo on Facebook here. The Pet Postcard Project is a grassroots arts-and-crafts project aimed at raising food for shelter pets and awareness about the plight of homeless animals. "Pet Postcards" for this project are homemade and handmade postcards featuring your own pets that you make and then snail mail into The Pet Postcard Project. Each card you send earns food for shelter dogs and cats. So far, this project has received many thousands of funny, weird, sad, cute, and profound cards, all filled with love for a beloved pet. Please include a PHOTO of the animal on each card, or else we won't know who's "talking!" The words are not just captions, they are creative confessions, wishes, advice, and "you know you love your dog/cat when" ideas. Use your own pet in the cards (a friend or neighbor's pet is OK too). Images from magazines are copyrighted, so use your own images. The words on the postcards are not just captions! They fall into 4 categories: CONFESSIONS, ADVICE, WISHES, and "YOU KNOW YOU LOVE YOUR DOG/CAT WHEN . . ."
The words should be funny, heartwarming, instructive, or profound. Random captions are ineligible. See the 4 categories above. Postcards must be unique. Do not send multiples of the same card or store bought cards. Postcards can be made by hand (craftsy) or on the computer. Postcards are all snail mailed in to The Pet Postcard Project. Send as many postcards as you like. Put the postcards into an envelope or box to protect them. Be liberal with stickers, glitter, and pretty paper. Life is short, live it up! Find a Pet Postcard Project tutorial here. The Pet Postcard Project was founded and is run by Nikki Moustaki, along with several volunteers who help to scan and post your amazing postcards! August, 2012 UPDATE: CONGRATS to Stray Cat Alliance for meeting their postcard goal. You guys rock! Thank you to Halo, Freekibble.com, and Jackson Galaxy for helping to feed these needy cats. The May/June Campaign on The Pet Postcard Project is the most exciting one yet! Freekibble.com (Freekibblekat.com) and Halo Purely for Pets are donating 10,000 meals of Halo Spot's Stew for Cats to The Stray Cat Alliance in Los Angeles, CA! All you have to do is send in your handmade, homemade postcards of your own pets -- just 2500 postcards triggers the donation! Here's how to make the postcards! But wait, there's more! The ever philanthropic Pet Armor, a generic version of Frontline Top Spot, is donating $1500 of their cat flea and tick prevention product to The Stray Cat Alliance when the 2500 card goal is reached as well! Check out their PetArmor Protection Promise page on Facebook where with one click you can trigger a donation to the ASPCA's Diaster Relief Efforts or the shelter of your choice. And that's not all! Freekibble.com and Halo have also decided to donate an ADDITIONAL 1000 meals for every 1000 postcards that come in over the 2500 postcard goal (up to 15,000 meals). Wow! Postcards can be of ANY kind of pet. But you want to know the coolest thing? Jackson Galaxy, star of Animal Planet's show, My Cat From Hell, is spearheading this campaign to raise the food and flea/tick protection for Stray Cat Alliance, his favorite cat charity! Could there be any more? Oh yes! On May 10th, Jackson's new book, Cat Daddy: What the World’s Most Incorrigible Cat Taught Me About Life, Love and Coming Clean, is coming out, and to celebrate the book launch and this campaign, he is giving away two signed copies of the book to two people who send in the most heartwarming handmade postcard of their own cat or dog during this campaign! And (drumroll please), the person who sends in the best homemade postcard of a cat during this campaign will win A PHONE CALL with Jackson Galaxy! Talk to the Cat Daddy himself! Here's a list of his book tour dates so that you can see the Cat Daddy in person. Find him on Facebook here. Stray Cat Alliance Mission: Stray Cat Alliance educates and empowers the community to advocate for every cat’s right to be safe, healthy and valued. We are building a no kill nation, one stray at a time. Vision: Stray Cat Alliance envisions a time when all cats are cared for, all kittens and domesticated cats are in loving homes and there is a healthy, but declining sterilized feral cat population. The feral cat colonies that do remain are monitored, fed, and treated medically when needed by their caregivers. 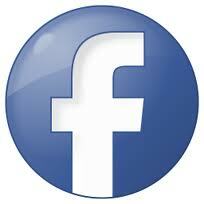 Find SCA on Facebook here. PetArmor is a generic version of Frontline Top Spot with the same active ingredient—fipronil. The fipronil patent (U.S. Patent # 5,232,940) has expired, clearing the way for generic products to be available. We've made it up to 50% less expensive and available in stores where you shop, because we'd like to help more pets stay flea and tick free. 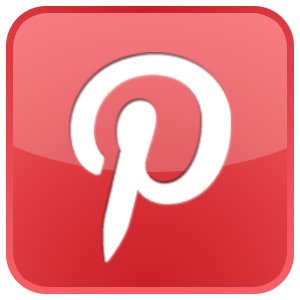 Find PetArmor on Facebook here. Freekibble.com was launched in 2008, as the vision of then 11 year-old, Mimi Ausland. Mimi wanted to feed the hungry dogs and cats at her local shelter. "There are 10's of thousands of dogs and cats in animal shelters across the country, all needing to be fed a good meal." With this goal in mind, Freekibble was created.Today, the Freekibble Network reaches over 500,000 passionate pet-lovers. This loyal community has helped us feed over 7 million meals to homeless dogs and cats in shelters, rescues and food-banks across the country (see map). Find Freekibble on Facebook here. REMEMBER: Use your own pet in the cards (a friend or neighbor's pet is ok too). The words on the postcards are not just captions! They fall into 4 categories: CONFESSIONS, ADVICE, WISHES, and "YOU KNOW YOU LOVE YOUR DOG/CAT WHEN . . . " The words should be funny, heartwarming, instructive, or profound. RANDOM CAPTIONS ARE INELIGIBLE. Also, postcards must be unique -- do not send multiples of the same card or store bought cards. Find a Pet Postcard Project tutorial here. Postcards can be made by hand (craftsy) or on the computer. They are all snail mailed in. COMPLETED! The Pet Postcard Project is having its first TOY RAISER for homeless dogs! Shelter pups need to play too, so Planet Dog has generously pledged $10,000 of their amazing minty-scented toys to two shelters, Fresno Bully Rescue in Fresno, California, and Big Hearts for Big Dogs Rescue in Miami, Florida. Two worthy rescues on the opposite ends of the country. In celebration of 10 years of giving through its non-profit, the Planet Dog Foundation (PDF), Planet Dog is proud to help support two worthy rescues on the opposite ends of the country. To make it happen, we need YOUR handmade, homemade pet postcards! The toys are from Planet Dog's Old Soul Collection, for example, the Old Soul Orbee-Tuff®. Orbees innovatively address issues that every dog experiences as they grow older and wiser: reduced vision and snout strength, weakened jaw muscles and brittle teeth. They were specifically designed for senior dogs whose chewing strength and urgency have waned over the years, but who still like a good, gummy chew. They are double soft, double minty, uniquely pliable and stretchy. The colors of Old Soul Orbees are high-contrast to make seeing them easier. Like all of Planet Dog's other Orbee-Tuff® toys, Old Soul Orbees are 100% recyclable, buoyant, bouncy, non-toxic and safely made in the U.S.A. Because Old Soul Orbees were designed specifically for senior dogs, they are not appropriate for aggressive chewers. But they may be enjoyed by dogs of all ages who have gentle jaws. How can the rescues get these great toys? By you sending in your homemade pet postcards, of course! The goal for each rescue will be 1000 handmade postcards by January 31st, 2012, featuring YOUR pets! Card "captions" must be confesstions, advice, or wishes. Make them heartwarming, profound, silly, or funny, and above all, make them real and from YOUR pet (or a pet you know). HERE'S HOW IT WORKS! Each rescue will get $4000.00 worth of toys, and the rescue who brings in the MOST cards over the 1000 card goal, will receive an ADDITIONAL $2000.00 of Planet Dog toys! Include a note with your cards with the rescue's name on it and I'll include it toward that rescue's card goal. Cards that arrive without designation will be split between the two. In this case, since the goal is 2000 cards total, each postcard that you send equals $5.00 toward Planet Dog toys for these rescue dogs! Send all of your cards in one envelope, and for the cost of a stamp and a little bit of creativity, you can give a lot of toys to needy dogs. "We have BIG hearts for BIG dogs all over South Florida. We are a not for profit 501(c)(3) organization determined to make a difference. We rescue, rehabilitate, and rehome large dogs. We have a special interest in Pit Bulls and Pit Bull type dogs as they are the most neglected and misunderstood breed. We aim to change public perception, educate the community, and spread awareness about the breed. We started as a small group of individuals who saw a desperate need foradvocates of larger breed dogs. Smaller dogs are adopted faster and rescued more often. And just like that a new hope is born. A new hope and beginning for big dogs all over South Florida. Our hope is that this site, and this rescue, brings big hearts together to save more animals." Follow them on Facebook. "FBR's job is to provide a healthy and loving temporary home while we look for forever homes for our bullies. In addition, FBR is committed to promoting responsible ownership of bully breeds, fighting against breed discrimination, spaying and neutering pets, reporting dog fighting, and demonstrating to the community that bully breeds are loyal, loving, and wonderful forever companions." Follow them on Facebook. TIP: Most people wait till the end of a campaign to send their cards, but if you want to see the thermometers move up for the shelter you're supporting, please send your cards early! Should you choose to take on this "toy challenge," January 31st is your goal date, and 1000 cards for each of these rescues is your card goal. Have a postcard making party! Ask your kids to make postcards in their classes or clubs. Send 1 or 100 -- but please do send them in to earn Planet Dog toys for these two rescues. Thank you! Like Planet Dog on their Facebook page and follow them on the Planet Dog Twitter! COMPLETED! 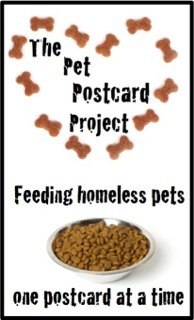 Here's The Pet Postcard Project's food raiser campaign for November and December, 2011! Royal Canin has generously pledged $1500 of their quality food to Animals Rule shelter in Los Angeles! Please check out Royal Canin's Facebook page for their Puppy Health Nutrition Contest -- you could win a year's worth of puppy food from Royal Canin! About Royal Canin: Royal Canin is not your average pet food company. 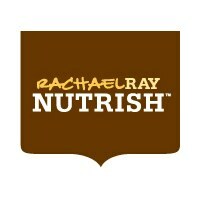 Since our inception in 1967, we have been forerunners in health nutrition because we do things differently. What makes us different is what makes us better. Superb nutrition based solely on science benefits the pet. Read more about Royal Canin's pet food philosophy. Greg Kleva is spearheading the campaign! He has the important responsibility of encouraging his fans to send in their homemade postcards. Postcards = Royal Canin pet food for Animals Rule! Greg Kleva is a professional Dog Behavioral Therapist and Master Trainer with Bark Busters Home Dog Training. Greg hosts 'It's A Dog's Life' on Martha Stewart Living Radio on Sirius XM 110. He also makes appearances on TV and in print. The PM2 Dog Aglitiy Team are the Spokesdogs for the campaign. Team Captain and team founder Deborah Davidson Harpur takes the dogs to compete almost every weekend all year long at AKC, USDAA, CPE, NADAC, ASCA or some other dog agility event. She handles all of the dogs on the team. Animals Rule Mission Statement: Our primary goal is to remove dogs in danger of being euthanized from shelter environments and foster them until permanent homes are found through our adoption program. We believe in the spay and neuterof all animals, regardless of breed, in order to aid in the prevention of pet overpopulation. We provide our dogs with shelter, proper veterinary care and any necessary rehabilitation. Our dogs come to us from a variety of different sources. Most of our dogs are rescued from our city and county shelters, others are strays, neglected, or abandoned due to bad economic times. COMPLETED! For October 2011 The Pet Postcard Project is having its first ever made in the USA TREAT RAISER! Rescue dogs need treats too. This month's goal is 200 homemade pet postcards, and Start Over Rover, a dog rescue in Hastings, Nebraska, will get $200 worth of Mr. Gamble's Dog Bites All Natural Treats and $200 worth of Riddick's All Natural USA Dog Jerky! My dogs LOVE both of these treats. Mr. Gamble's are crunchy, wholesome bites that are great for training (and they smell amazing). Riddick's are all natural jerky treats that keep your dog occupied for a while - fabulous for yappers and dogs that need a distraction. Both are made in the USA - bonus! Please send in your postcards postmarked in the month of October to help Start Over Rover get $400 of treats for their deserving rescue dogs. Here's how to make the cards - remember, pet postcards are handmade and the "caption" is a confession, advice, wish, or "you know you love your dog when" statement. Cat cards are more than welcome too (we love kitties at the PPP!). Start Over Rover's Mission Statement: "We are a 'No-Kill' animal rescue organization comprised of like minded people whose mission is to rescue, provide sanctuary, medical treatment, sterilization, and rehabilitation to relinquished, abandoned, or neglected dogs and cats. Our ultimate goal is re-homing these animals into stable, responsible new homes. It is a top priority of our group is to educate the public about the companion animal overpopulation and to stress the importance of spaying and neutering dogs and cats. We will advocate for dogs and cats who are imprisoned in puppy mills and catteries. We will fight locally and nationally for their humane treatment with a goal of ending commercial mill style breeding of companion animals." COMPLETED! The Pet Postcard Project, along with Jackson Galaxy, cat behaviorst and host of Animal Planet's My Cat From Hell, campaigned with Freekibble and Halo Purley for Pets to give Blind Cat Rescue and Sanctuary 5000 meals of much needed Halo Spot's Stew for Cats. But it was YOU, those of you who sent in your homemade, adorable, meaningful postcards that truly made it happen. Four paws up for all of you! At The Pet Postcard Project, your homemade postcards = pet food for shelter and rescue animals! FROM BLIND CAT RESCUE AND SANCTUARY: "To receive the gift of Halo for our rescued cats is such a blessing. This high quality and wonderful food will greatly benefit the health and happiness of our rescued blind cats making them stronger, healthier and happy cats! The generosity of this donation provides us food for the next few months. This savings of not having to purchase food, during these tough economic times is a Godsend.We are honored and thrilled to have received this donation.THANK YOU HALO AND FREKIBBLE!"